Stylish Tags Make a Statement. Design-your-own fashion statement! 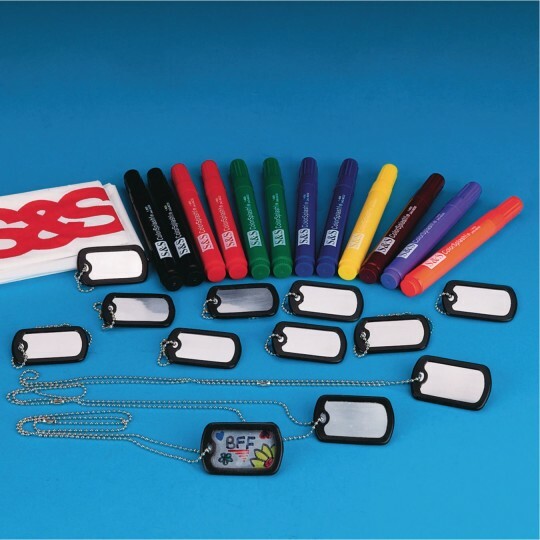 Decorate your dog tags any style or theme, make your own medical ID tag, and because they're similar to the ones American soldiers wear, the pretend play options are endless! Includes twelve 2-1/8" silver dog tags with plastic border and casing, twelve 20" silver chains and permanent markers. This product was used during Armed Forces Weekend. It was well received by kids and parents. The markers worked great just need a few seconds to dry. Some choose to have theirs engraved. 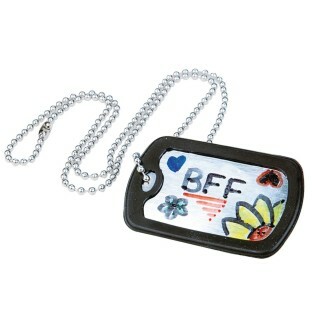 Dog Tag Necklaces a hit with group home! 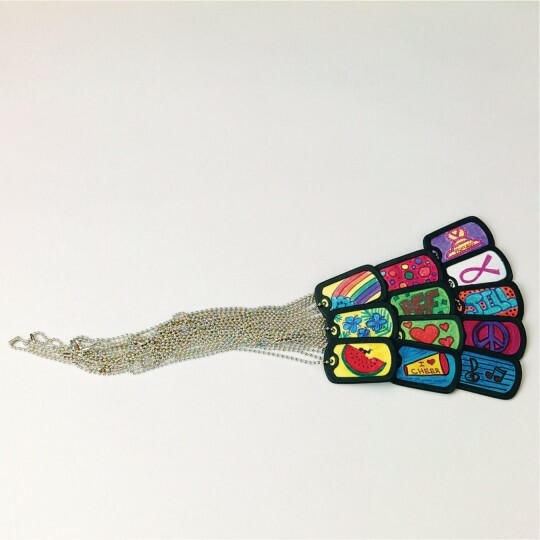 This was a great activity for an arts crafts charity event that was held at a group home.Both girls and boys loved decorating and personalizing a necklace for themselves. Great for a diverse age group - simple but cool. This product is useful for a variety of ages.